Easy to follow maps showing all the resources available to families with young children. Particularly useful for families with English as a second language. Display a large size poster of the map in your reception area. 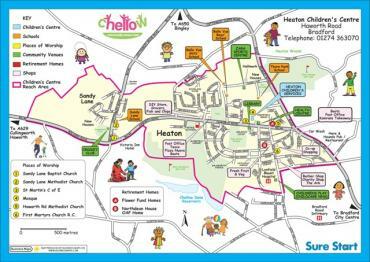 We have created hundreds of children's centres area maps whatever to configuration of your reach area in a city centre, suburban or rural area. Fixed design cost including all proofing stages until you are 100% satisfied with your map. Free update for 3 years.